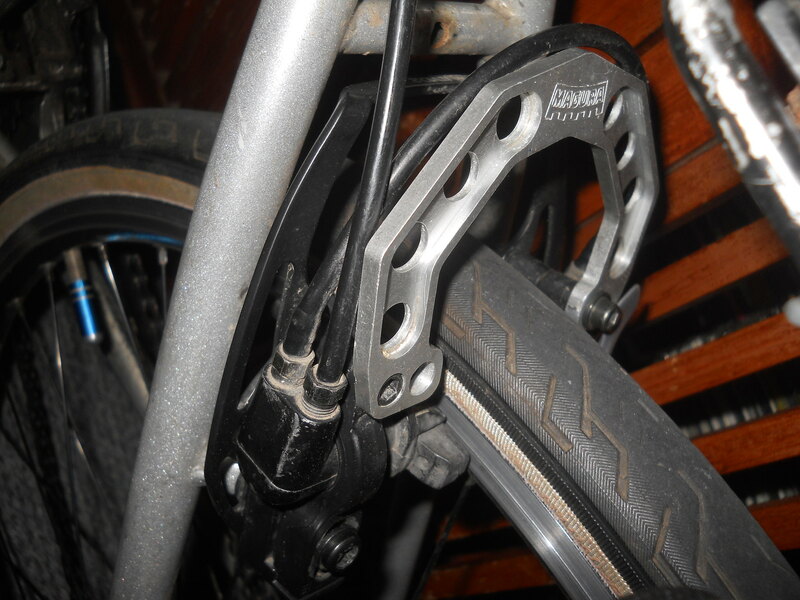 Iv'e been unable to find a post created specifically for the Magura HS11 Hydraulic Brakes so here it is. Please post your pictures, experiences, advice and general feedback. Tarty Bikes are the ones I usually buy from. I have a couple of spare hoses in the toolbox from when I had to lengthen a set for the tandem. Let me know if interested. I've a set of HS11s on my old Fire Mountain. As well as a *few* other sets of different maguras on varying bikes. They're just as awesome as all other maguras. I read that the pistons in the levers may actually be smaller than the 33s, giving more brake pad travel at the cost of power, but honestly, they're still excellent. I've never found anywhere selling magura hose cheap, but as your link comes with the fittings, that seems pretty reasonable? I did snap a rear caliper evo mount , but their's plenty of spares on Ebay Im Running newer mounts on the rear ,its all compatible to a degree. i myself just sold a rear hs-33 for £15 spares on there..
As already mentioned Trials bike shops often stock Magura spares, try Tarty Bikes or Trials Addict for starters. If you're replacing a hose you'll probably need new brass olives to reconnect the host. It doesn't have to be Magura hose I don't think, the older Magura disc brakes used the same fittings (service kit had the same parts), brake hose the same diameter should be ok. I actually could see no difference in braking power between HS11/22/33 etc. More important were the pads, setup, and whether a brace was used (I suggest you do use a brace). Updating this thread as I've now got a set of HS11's, which appear to work flawlessly, and on first impressions seem to have similar power to both the HS22's, and HS33 Race lines which I've got on other bikes. In my experience brake boosters help a lot with these brakes, so I'll have to find/dig some out of the spares box. The finish is low rent black plastic for the levers, but the Calipers seem the same as other models. These were OEM equipment on some Kona bikes c.1996 (as per the Kona catalogue linked to by the original post). Really like Maguras and the HS11 are as good as any ive used. One of the best things is once set up they are pretty much maintainence free. once set up they are pretty much maintainence free. 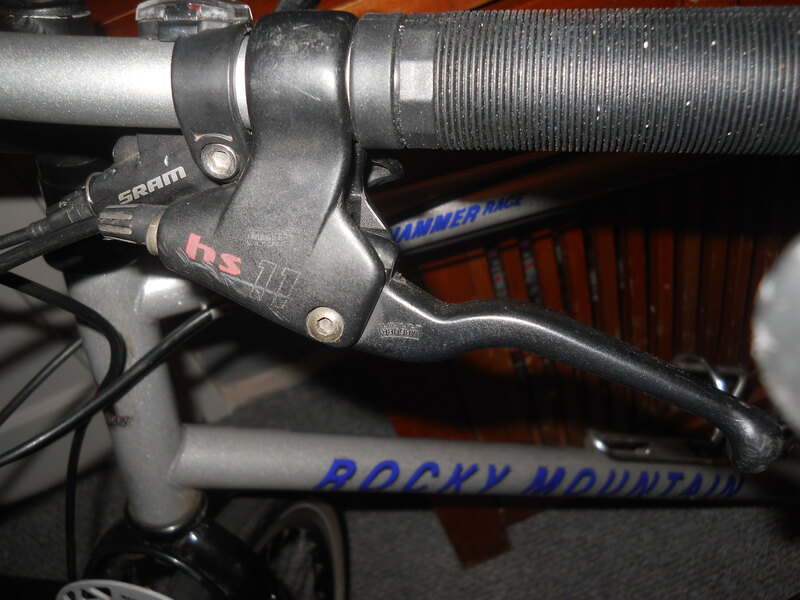 I had HS22 Racelines on my Orange Prestige from new in 1994 until i sold the bike in maybe 2002. Agreed - once set up it's snap in new pads when worn and nothing else.